Almost one hundred airfields on the map. Each of them has its combat history, each of them is known for squadrons based on them - and all of them will play active roles in the campaign. When it’s ready the briefing screen will change a lot. And this is how one of the campaign starting screens will look like - you’ll see your progress in the current stage of the battle. It's all starting to come together. Can't wait to download this and take a look around. Good to see the rest coming along. I love the fact that single player is coming along and that the terrain is being worked on. Radio compass is is a wonderful feature. And the working cockpit instruments as well. Great work guys this is looking awesome!! No word on the 190 ? A lot of nice features to be added - many like the VSI indicator we've waited a long time. Look forward to checking out the new trees. Hope we'll get advanced armament commands tonight (fuze, salvo,...)! And nice Ju-52! Does it mean we'll have her in game? Great screenshots. I've got high hopes for the campaign. I do believe I see a Ju-52 there too!  I'm gonna have to take some time away from flying RoF to have a fly around in the snow of Stalingrad tonight. Nothing on the 190? Really? What about it? Wow Thanks for great update. Looking forward to test it. Thanks for the update Zak... Things are moving right a long..
Im so sad, going away for fishing and sunbathing this weekend, no flying for me. Great news to see the progress. Guess we have to wait for more planes. How unusual for Luftwaffe pilots to be whining, you already have air superiority but I guess just not enough of it! This is looking better all the time. Very pleased about the instruments, and the new foliage, and great that the SP campaign is coming along. oh -- and the Stuka siren. Worth the wait. Thanks devs. What do you want to achieve with that post? Sorry. Gotta start this with yourself - troll! ok where is the Ju52? Is it that pic in the second campaign shot with the burning T34? Thought the aircraft were Heinkels? Great news.... ....for you guys anyway. Truly great news about the new vegetation, working gauges (yay! ), radio navigation (double yay!) and advanced ordinance release controls. Though you should propably have adressed the He 111 or the Fw 190 for the sake of impatient playes who are hungry for Luftwaffles. Check your hanger after the update. Maybe there will be a surprise 190 snuck in there? 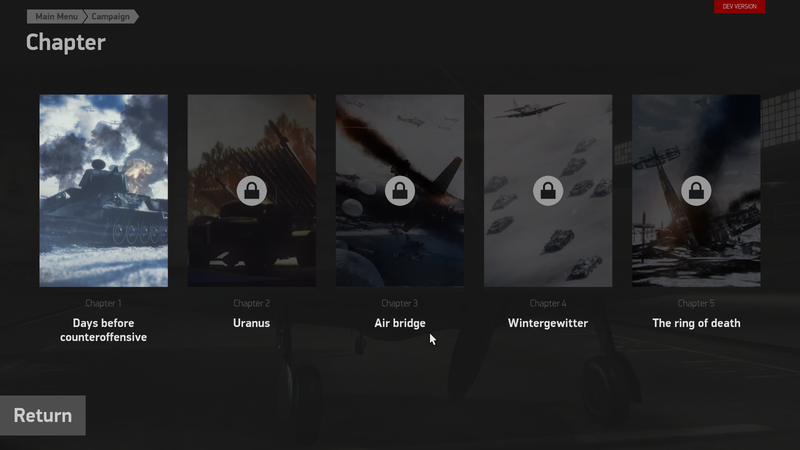 On the 3rd image of the campaign starting screens there is definately a Ju-52. Would be odd to start that stage of the campaign and... there is no Ju-52. As they promised only to deliver flyable planes would it mean that it will be included? Great UPDATE!! keep up the good work!!!! Looking good. Thanks for the update. Working gauges, separate keys for bombs & rockets all the work on the SP campaign is reassuring too. The new trees & bushes should improve the already impressive landscape even more. The siren siren siren!! on Stuka is finally ready to sing. Yes, this is definetly great news! Can't wait to try this lovely detail out ingame (I don't mind performace decrease)! It's too bad that the 190 isn't done yet (as I expected it), but I'm confident it will be worth the waiting and exitement. Impatient. Agreed. Just its a little pale planewise on the german side. One plane in 2 variants (one of wich is practically useless but thats not the topic here and also just IMHO) and one divebomber on german side versus 4 fully diffrent planes on the russian side. ..but new trees and bushes looks awesome! That's why you think i want the 190 ? This Screenshot remember me the times where I started to play the IL-2 Series. Well, the Ju-52 on the third slot almost looks like an ingame model, so combined with the fact that we got no Fw-190 news, i'm assuming the Fw-190 got replaced by the Ju-52. EDIT: Actually, i think the screenshot with the Ju-52 has been replaced. Might've been a leak. When will the update be pushed out? 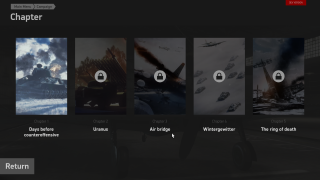 it hasent updated yet here..
Maybe that explains about the Ju-52 - when people started talking about the THIRD campaign pic....but there are only two pics...? Still, many more Ju-52 on the new english screen shot!!!! I am a little disappointed the 190 isn't in. I was really looking forwards to having that and the La-5 in MP. But that's the way it goes soemtimes. The screenshot of the campaign mode is interesting. Is it going to be a RoF style career where you pick your squadron and progress with it or do you actually choose whatever mission you want from any squad that particular day? If the latter, that's a very strange setup. Would it track pilot progress and have the usual medals and promotions? Those wouldn't really make sense if you didn't take the place of a fictional pilot in a squad and instead were some sort of demon possessing the bodies of various people at different times. Queue creepy music.